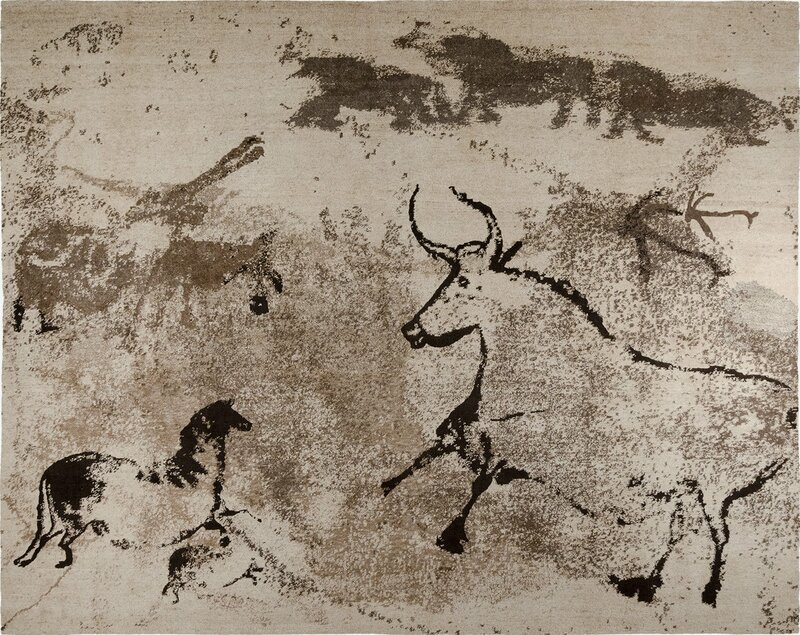 By reproducing the cave’s frescoes, the Lascaux rug links together two different stories: one about the origins of the rug, that item covering our floors, and the other about the first artistic gesture of humanity. To protect the mesmerizing emotion which emanates from them, the images are woven in natural, undyed wool. The traditional weaving of Gordes knots also participates to bring out the authenticity of this creation. The carpet is the ultimate item of comfort and softness that soothes the ground’s hardness. This specific one is conceived as an answer to prehistorical terrors. Its designer indeed explains that the first painters believed in the existence of extremely hostile telluric powers, underground forces that men had to face and control in order to survive them. They would burst out of the bowels of the earth, just as the painted animals arise on the walls of Lascaux. Transposing these paintings on a rug makes a reference to this first artistic necessity of representing and therefore overcoming these primitive dreads. 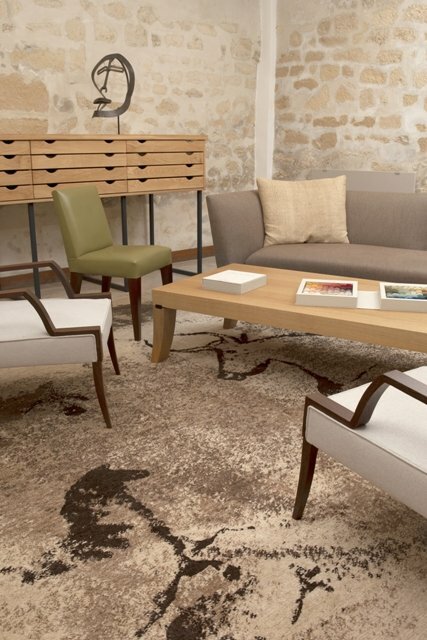 Its singularity also lies in what it relates about the origin of the rug. Overtaking this horrifying vision of the ground as the medium of all threats, a vivid desire takes shape, that to soften the roughness of this universe. The rug, softer and warmer to the one walking or resting on it, would then be one of the first moments of a dream of well-being and comfort. 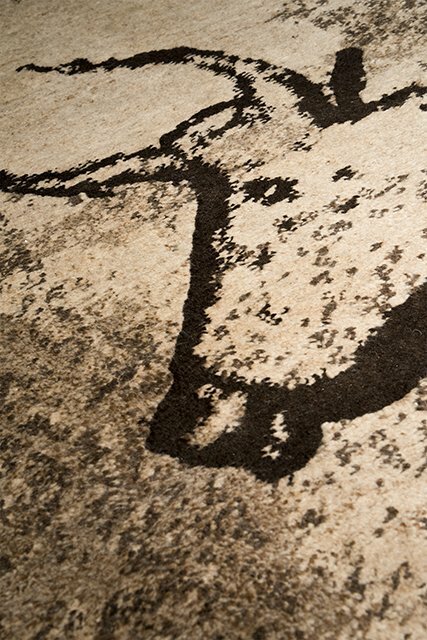 After all, the Lascaux rug invites us in a journey on the footsteps of the men we have been; we who don’t fear the ground and its devils anymore.